Sarah started her yoga journey in 2015 as a way to deal with growing anxiety and depression. The practice offered her a way to reconnect with her body and find a deeper relationship with herself. In 2017, Sarah pursed her RYT-200 through Tiny Buddha Yoga and started teaching at TBY in 2018. As a student of yoga, Sarah enjoys practicing to find stillness in discomfort and mental balance in all postures. This practice of equanimity guides her on and off her mat. As a teacher, Sarah supports students as they delve into their personal journey of yoga and self-understanding. Her classes focus on finding calm by guiding students to let go of their reactions; working to connect to their breath. Expect a physically and mentally challenging class with an emphasis on nonjudgmental acceptance. Phillipe’s first experience with yoga was in 2006 when he sought a means to bring balance to emotional stains and dealing with physical injury. He holds an RYT-200 with the Yoga Alliance and has been teaching at Tiny Buddha Yoga since 2017. To advance his understanding of yoga and to provide students more insight into their own personal practice, he continues his education through attending workshops and lectures. Having had several past injuries, he brings attention to being aware of our physical self, modifying and using props to support an individuals practice. Students can expect his classes to be grounded with energy collected and directed inward and to pay particular emphasis on breath. Megan started practicing yoga consistently in 2013 while healing from a running-related injury. The meditative aspect of the practice helped her discover how powerful the mind-body connection is, and yoga quickly transformed her life in ways she never anticipated it would. Ever since TBY opened, Megan's connection with the community has been a source of resiliency. She completed 200h RYT training at TBY in fall of 2018, and the deeper she has gotten into her practice, the more rewarding it has become. Megan is so excited to be able to share the practice with the community. Matthew has been practicing yoga for ten years and teaching for five of them. He has been trained in many different kinds of yoga including: Hatha, Vinyasa, Therapeutics, Yin, AcroYoga, and more. Not unlike a big, lovable golden retriever — Matt’s style of teaching is uniquely playful and adventurous. It’s not unusual to hear giggling from the studio when Matt is teaching. He knows that life is serious and stuff happens, but encourages his students not to take themselves too seriously on the mat. The first person to admit to his own imperfections, Matt encourages his students to seek physical progress rather than physical perfection. Acceptance is the name of the game. Yoga isn’t about looking perfect in a pose. Yoga isn’t about winning. There is no finish line, there is no trophy. Yoga is a lifelong practice. We work for sustainable health and happiness. Matt has taught thousands of classes to thousands of students of all ages and backgrounds. He is on a mission to be of service in elevating the world's community of seekers to discover their inherent greatness. Lindsay has been practicing yoga for nine years as a way to process change and trauma in other areas of her life. She was trained at Tiny Buddha in 2017 and since then, has moved to Ecuador and back. She is grateful to come home to this warm, energetic yoga community and is honored to continue to share the healings of yoga with others. Julie attributes her introduction to yoga to an episode of the Rosie O’Donnell show from 1998 featuring Madonna, in which Madonna “taught" Rosie how to practice Ujjayi and do a Sun Salutation. Julie followed along, and the seed was planted. Seven years later, Julie took her first yoga class while attending college. It was an Iyengar class that she enjoyed, but it didn't quite pull her in. It was another four years before Julie hit the mat again, turning to yoga to relieve pain caused by hours tied to a desk, working as a web developer. She had discovered a weekly, hatha-based podcast that allowed her to develop a daily personal practice at home. She stuck with it, and three years later moved to the Ann Arbor area, where she discovered and fell in love with hot vinyasa. After practicing at various studios and at home for four more years, Julie decided to deepen her practice through Tiny Buddha Yoga's teacher training program. Now, she works to share her calming presence and light with the students of TBY. Julie was introduced to yoga as a college student looking to move her body and manage stress. She left her very fist class realizing she had been present the entire time, and was immediately hooked. Regular practice grew into a deep love of yoga and a desire to grow, which led her to complete her RYT-200 with Tiny Buddha Yoga in Spring 2018. As a student she continues to explore all eight limbs of yoga and loves discovering new ways to move and feel. 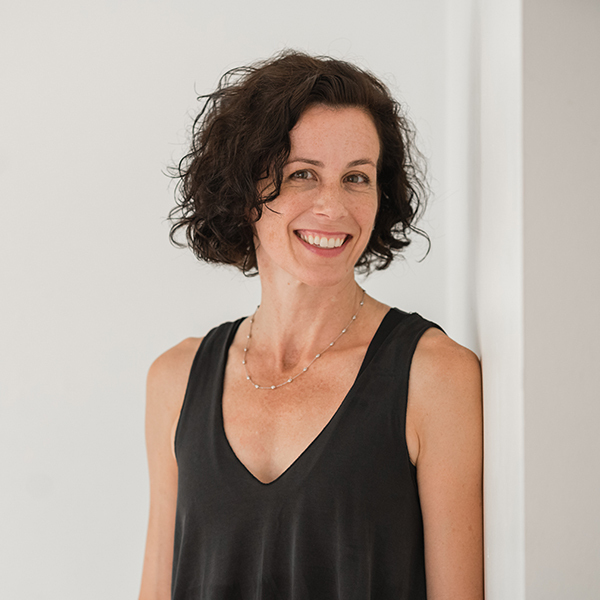 Julie is passionate about empowering practitioners to take ownership of their practice and build confidence in knowing their bodies and their Selves. Students can expect her classes to be grounding, challenging, and focused on deepening the connection between mind, body, and breath. Chelsea’s mother also teaches yoga so she grew up supported and enriched by this ancient practice and was inspired to share its transformative power with others. After experiencing her own trauma it only deepened her resolve to serve others holistically. Her focus turned inward and she connected with her passion and purpose in this life. She received her Bachelors of Science in Nursing from the University of Michigan, her 200-hour yoga certification and completed her 140 hour trauma-informed yoga training through YogaFit. Chelsea is continuing to expand and develop her holistic services to care for the mind, body and spirit. Every aspect of our being is interconnected. Only by turning our focus inward and caring for every aspect of our being can we begin to heal. Chelsea looks forward to inviting you to turn your focus inward, helping you cultivate compassion, resilience, peace and equanimity on the mat, which you will carry with you into your life. Seeking some relief from dissertation-writing and the burdens of academia, Adam found himself exploring physical activities as a way to decompress and improve his wellbeing. When he began to regularly practice yoga, Adam immediately appreciated its paired mental and physical benefits. Yoga became an important daily practice for cultivating mindfulness and bodily expression, benefits he aspires to convey to students in his classes. Adam takes great joy being a part of the community of yogis at Tiny Buddha and draws inspiration from fellow practitioners. His classes are energetic and balanced, challenging students to develop their physical practices while nurturing serenity and a harmonious relationship with the self on and off the mat. Sylvie turned to yoga over four years ago as a way to “heal” after being diagnosed with an autoimmune disorder. She currently holds an ERYT-200 with the Yoga Alliance and has been teaching at Tiny Buddha Yoga since her certification in 2016. As a student of the practice, she continues to attend workshops and works closely with the TBY staff and other movement coaches to learn ways to make asana, pranayama, and self-study accessible to all. Her background as a professional figure skater, choreographer, and educator are highlighted in her teaching, and she brings a wide lens of movement to her flows and transitions. Sylvie is an eternal optimist with a fierce drive and passion for the practice. Students can expect her classes to be playful, compassionate, and designed to get you out of your head and into your body. Rachel was an attorney before deciding to stay home to raise her children. It was at this time she discovered the profoundly healing mind-body benefits of yoga. Rachel completed a 200 hour certified yoga teacher training program in 2006 and has been teaching in the Ann Arbor area ever since. She teaches vinyasa, a dynamic, flowing style of yoga which incorporates breath and movement. Olivia began practicing yoga in 2012 with the goal of increasing flexibility while she was a collegiate volleyball player. She completed her RYT-200 teacher training with Tiny Buddha Yoga in 2017 and began teaching at TBY in the same year. Though she remains drawn to the physical benefits of yoga, Olivia seeks to deepen her personal practice by attending workshops and mindfulness trainings that expand beyond asana. Olivia brings her focused, grounding energy and compassionate encouragement to all that she does. Students can expect an accessible, joyful class featuring deep attention to the foundations of asana and mindfulness. Maureen was first introduced to Yoga during her pregnancy 17 years ago. She was a competitive mountain biker, and had such a hard time going from training and racing to walks around the neighborhood. Yoga started as a way for her to get into her body and into her zone without getting her heartrate too high and developed into so much more throughout the years. It has been a path to connect with her true self and as a result be more authentic and present in all aspects of life. She completed her 200 hour training in December 2016 with Risa Gotlib at Tiny Buddha Yoga. She will be practicing yoga until I take my last breath. Maureen can’t wait to share her love for yoga with the students at Tiny Buddha Yoga! As a former collegiate athlete, Liza was first attracted to yoga for the physical intensity and opening. As her life circumstances changed, her practice moved beyond the physical asana, offering an exploration of authenticity and presence. Ultimately, through her practice, she developed a more peaceful relationship with herself on and off the mat. These days, coming to her yoga mat is an experience of being present in her body and of knowing that she is enough - physically, mentally, and spiritually. Yoga continues to be a vehicle for transformation and healing in different ways in her life, and it is this process of transformation that she loves to share with others. Liza invites her students to come as they are to her classes to experience a powerful, playful, and challenging vinyasa that also offers space for connection to breath, self, and community. In Liza's classes, students can expect an integration of invigorating power yoga with a restorative sequence designed to cultivate inner growth, self-compassion, and greater self-awareness. The practice of yoga can be such a beautiful metaphor for what's going on in our lives, and what we need or crave in our classes changes on a day-to-day basis. Liza's students are always invited to check in with themselves throughout their practice and to take what they need (and leave what they don't), creating space for an empowered and embodied experience. Kara's yoga practice started almost 5 years ago in the beginning of 2014. Her roommate at the time invited her to a class with her, so she nervously agreed. As she walked into the studio she felt so at ease and attracted to the community and love that seemed to fill the space. Then the class started, and as everyone began to move and breath together that was it. She was hooked. Since then yoga has completely enriched all aspects of her life. It has changed the way she breathes, the way she reacts, and overall the way she lives her life. Yoga has taught her how to listen to her body and mind in a way that she truly did not know existed. Kara's passion drove her to get her 200hr RYT and start teaching in April of 2018. She looks forward to learning more everyday, and to sharing every ounce of knowledge that she attain. Dana has dabbled in the practice of yoga for six years, but found home on her mat in 2014 after experiencing a traumatic loss. She currently holds a RYT-200 with the Yoga Alliance and began her teaching journey with Tiny Buddha in May 2018. Dana continues to develop her personal practice by attending yoga classes, workshops and through dialogue with other Tiny Buddha teachers. More than anything though, she learns through practicing next to her fellow teachers and observing her students as every yogi has a beautiful and unique light of self-expression while moving (or not) and breathing on their mat. Her love of people, background in coaching, and professional experience in training and staff development follow her to the studio as a teacher. Dana’s curiosity about the human condition, self-discovery, and strong belief in the practice of yoga for healing, both physical and emotionally, inspire her as a teacher. In her classes, students can expect a gentle narrative focused on loving-kindness while being encouraged to find their edge and to try new things. Casey's first yoga class was right here at Tiny Buddha Yoga. He has found a strong community of students and teachers who taught him to move freely, breath deeply, and live vibrantly both on and off the mat. As a nursing student and calisthenics instructor he has always been passionate about healthy living, but this practice has allowed him to move towards more holistic state of wellness and self-understanding. As a teacher Casey's goals are to create space for personal growth, inviting students to bring the peace they find on their mats into their daily lives. His classes are inspired by the fluidity of Vinyasa flow, the tradition of Ashtanga yoga, and his passion for both dance and bodyweight conditioning. When Brenica first started yoga about 5 years ago it was just a way for her to get a little "work out." Since then it has become so much more to her. Yoga has become a way for her to honestly explore her emotions in a safe place. Brenica’s personal practice varies, some days she likes to move quickly to loud music and others she sits and listen to her own breath — both sides of her are reflected in her teaching. That's what she has come to love so much about yoga, it's always exactly what we need it to be. In February 2018, Brenica completed her RYT-200 at Tiny Buddha Yoga and she started teaching shortly after. Her love for this community runs deep and she loves helping her students explore all yoga has to offer. She truly believe there is a practice for everyone, it's right there inside of you! Tiny Buddha Yoga and tinybuddhayoga.com is not affiliated with tinybuddha.com.